With over 11 million people calling the city home and 1,500 square kilometres to explore, you could spend a year here and still not see everything. However with a bit of organisation you can see many of the important landmarks in a couple of days and also start to develop some kind of ‘feel’ for the city. 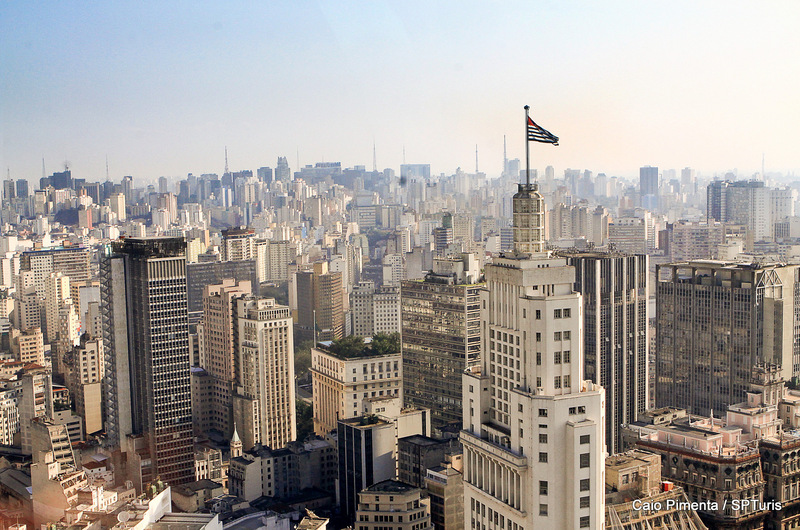 Here are our suggestions for spending 48 hours in Sao Paulo. You will probably need a day to take in all the sights of the historical centre. The best place to start is to climb up high and get a view over the city. One of the best free views is from the top of the Martinelli building (visitor entrance: Avenida São João). This is free; simply go to number 35 and you will see a small notice on the door and maybe a short queue (they let people in every half an hour Monday to Friday), wait to be let in, then you simply sign your name at the door and take the lift up. The building has an interesting history; it was the first skyscraper in São Paulo when it was built in the 1920s. Controversial in its day, because many people feared it was likely to fall down, Martinelli moved himself and his family into the top floor in the hope of convincing people of the building’s safety. Another option for a great view (and undoubtably the best view in town) is the Italia Building, Avenida Ipiranga/Avenida São Luís, where there is a restaurant on the top floor. The restaurant can be on the pricier side but the views are spectacular, particularly at night. Budget travellers can get a drink which comes beautifully presented with a little selection of snacks and, of course, there is that view. 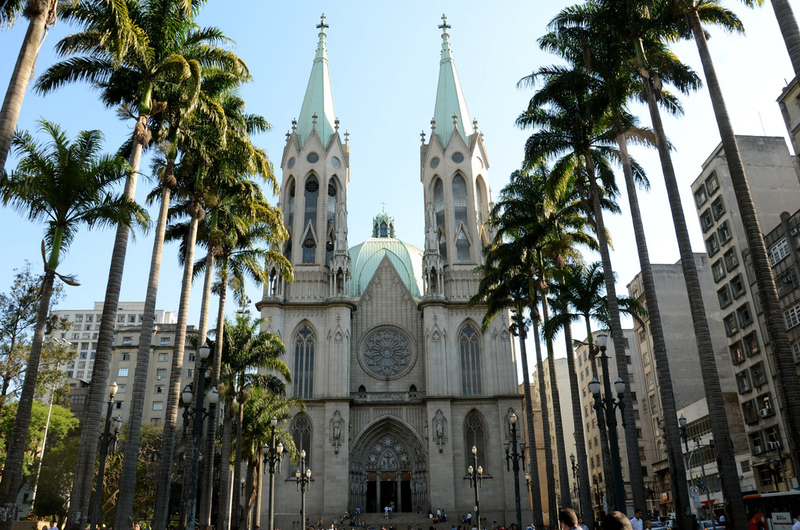 Metropolitan cathedral in Praça da Sé is a must-see whilst you are in the historic centre. Built in a mixture of Gothic and Renaissance style, it is free to go in, although equally impressive from the outside. Just a short walk through the historical centre will bring you to Mosteiro de Sao Bento, a wonderfully intricately designed working monastery with over 400 years of history to explore. The famous Rua 25 de Março is renowned for its cheap, fake designer goods. It gets very crowded there and you need to keep a tight hold of your purse, otherwise keep a cool head and a smile and barter to your heart's content. Liberdade, or ‘Japantown’ is another interesting shopping area. Originally home to Japanese immigrants, although they have now been joined by many Koreans and Chinese, making it more of an Asiatic area. It is full of little shops selling cosmetics, Asian food and cutesy 'Hello Kitty' merchandise. If you go at weekends there is also a little street market (right outside the metro station), selling artisan products. It is worth timing your trip to Liberdade to coincide with lunchtime, as there is a plethora of great sushi/noodle/Chinese restaurants. Just wander into any of the side streets and you can enjoy a good reasonably priced Asian meal. 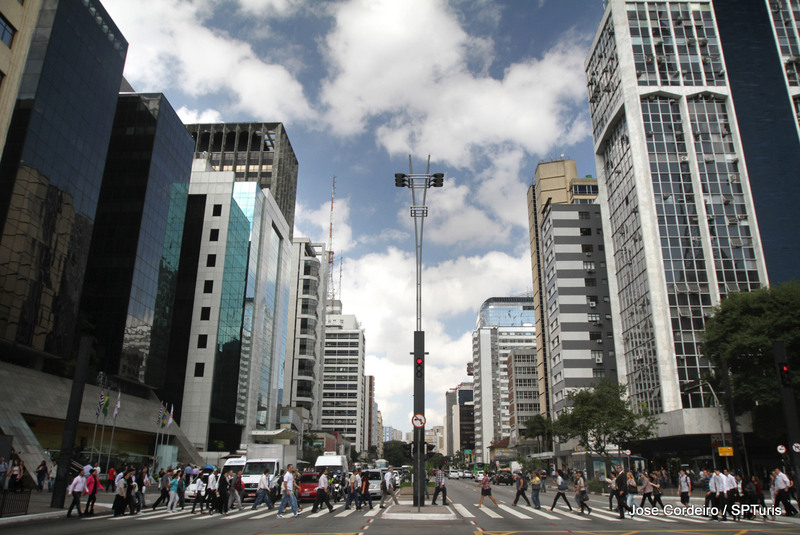 If you walk the length of Avenida Paulista you will come across numerous shopping malls, theatres, galleries, restaurants and bars. This is the modern side of Sao Paulo. There are plenty of shopping opportunities in the area, although prices are usually higher than in Europe or North America, as most goods are imported. Only Brazilian brands, such as Havaianas, offer any real savings. 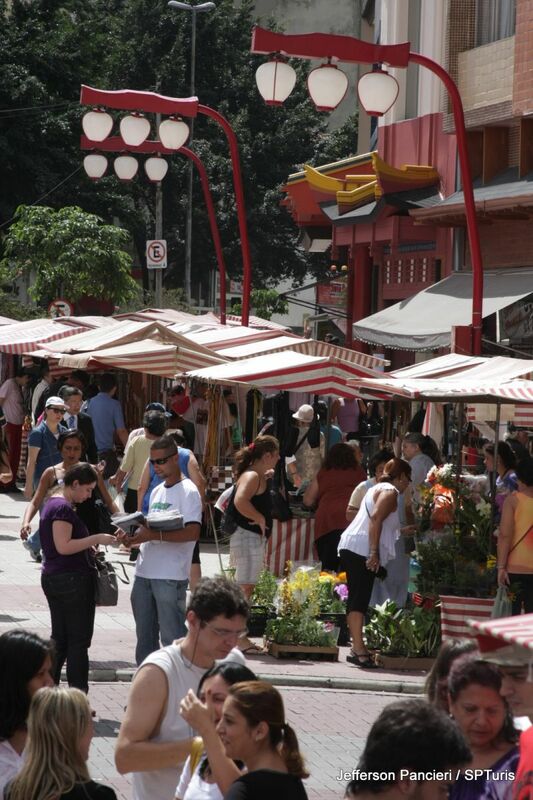 However even if you don’t like shopping there are still many reasons to go to The Paulista region. A wander around will leave you with a feeling of how Sao Paulo is growing and changing fast, and how it's the best example of a modern city in the country. 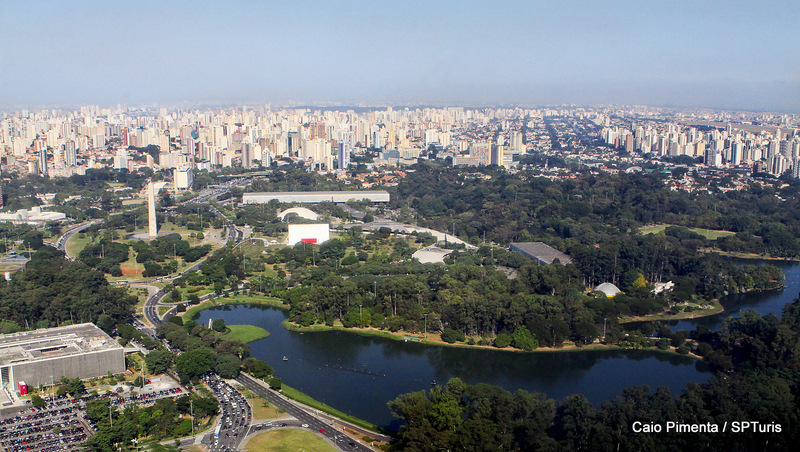 A little to the South is the Ibirapuera Park. Worth visiting for the park alone, it also contains several galleries/museums for culture lovers. If you only have time for one then Museu Afro-Brasileiro is probably the one to go for, with lots of information about the influence of African culture on Brazil. 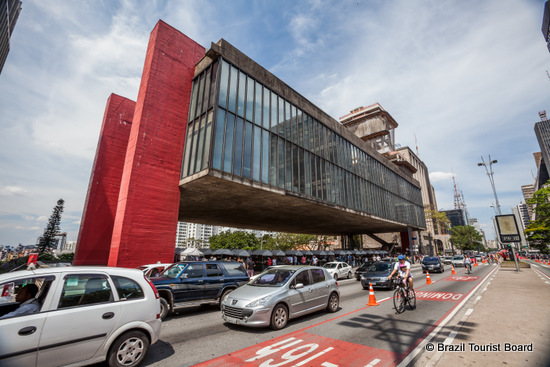 Museu de Arte de São Paulo (MASP) is right there on Avenida Paulista, and is one of the best known art museums in the city. They offer free entrance on Tuesdays, and early risers can find they have the place to themselves. 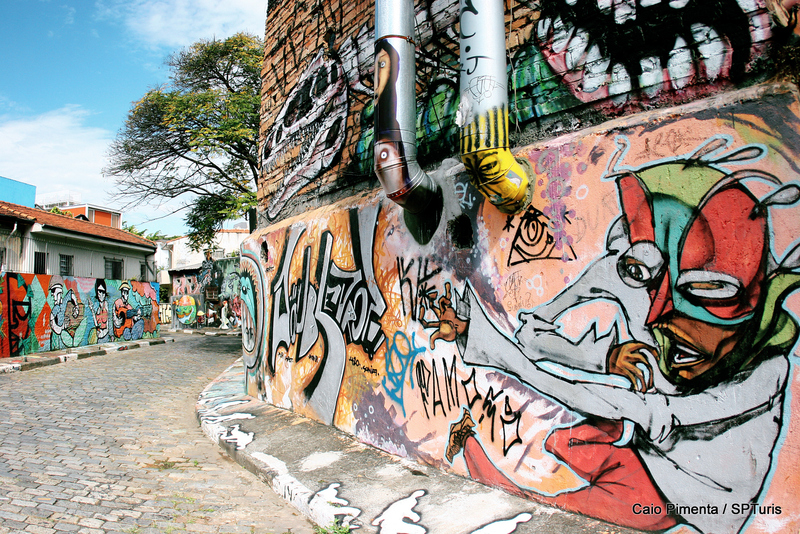 If you have any energy left after a big day of exploring, you can go and find the street art in nearby Vila Madalena. Take the metro to either Fradique Coutinho or Faria Lima (both on the yellow line) and head to Batman Alley, where there is a ‘legal’ street art area. From there you can walk around the nearby streets; you will never be far away from an impressive mural. The area also includes some private galleries, and has a very ‘bohemian’ feel to it. It is worth timing this towards the end of your day, so that you can finish off by watching the sunset at Por do Sol square at the west of Vila Madalena. You can then toast a long and memorable day with a drink in Rua Mourato Coelho, with its numerous bars. São Paulo's bars get busy virtually every night; Paulistanos work hard and also like to play hard. From Thursday to Saturday there is the weekend crowd so things are very lively. Sunday and Wednesday there is football, which also fills the bars. If you don’t like football it is worth avoiding these nights, as there are big screens in the streets where people gather to watch the matches. If you do like football then bar São Cristovão is a good place to go; the decor alone is virtually a museum to Brazilian football. However there will be screens to watch the game pretty much wherever you go. Don’t make the mistake of underestimating the importance of football in Sao Paulo. There are three of the city’s football (or ‘soccer’) clubs in the first division in Brazil and debates get very heated. It is worth finding a hotel close to the metro; São Paulo traffic is chaotic and the metro is the quickest and easiest way to get around the city. The metro is easy to use. If you are in town just a couple of days you can buy single journey tickets from the machine or the ticket office (buy as many as you need for the day, it saves you queuing each time. Costs R$3.50 per journey). São Paulo is a superlative city with over 10.8 million inhabitants, which is made up of people from more than 70 countries. This unique diversity is reflected in the urban landscape, tastes, arts and cuisine. 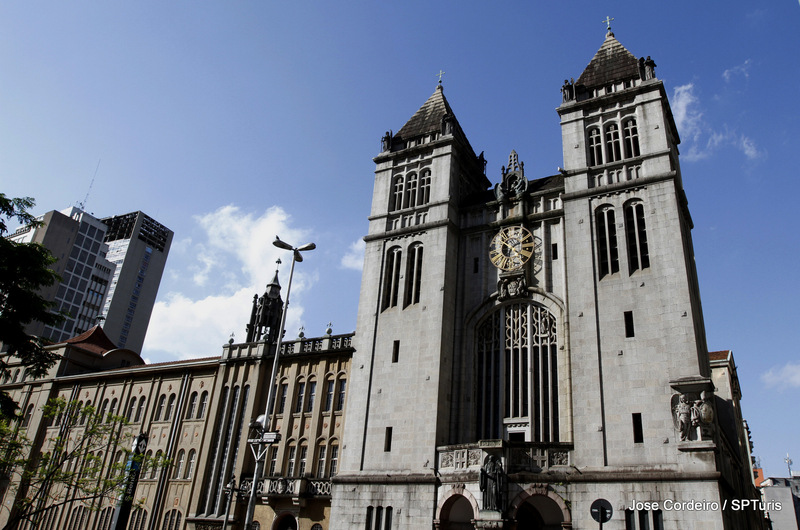 For culture lovers the downtown area of Sao Paolo is home to many of the city's iconic historic buildings including the Teatro Municipal and Luz Station which were built at the turn of the century. The area is also one of São Paolo's many shopping areas, in fact shopaholics will find over 70 shopping malls and 59 themed shopping streets in the city offering everything from high street fashion to high end boutiques. São Paulo really enjoys a thriving gastronomic scene and you will find over 50 different types of cuisine to enjoy across the city. Influenced by its diverse culture, you can find everything from basic cantinas to some of the best restaurants in the world. Those wishing to dance or listen to music, there are several lively districts to spend your evening which cater for all tastes including Brazilian popular music, rock, funk and jazz. São Paolo has many different neighbourhoods, each with its own character (like London). You can easily get across the city on the metro and this is the best ways to access the cities attractions. There is an important financial district in the city and most people staying for business choose to stay close to this district. Temperatues in Sao Paolo remain generally warm all year round and temperatures reach up to 27 °C in summer time (Nov - Feb). However being a tropical climate summer can also bring some rains too. Looking for inspiration? Have a look at some of our Brazil itineraries.